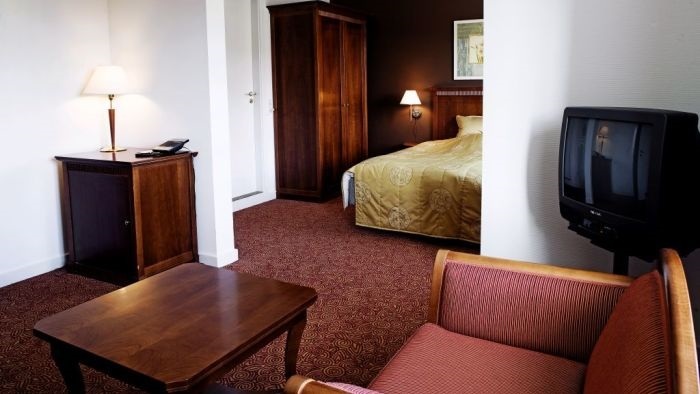 Hotel Tønderhus mini-suites are centrally located in the main building. All Suites have a shower, toilet, hairdryer, trouser press, telephone, radio, TV and free wireless Internet connection. The Suites are furnished with desk, office chair, coffee table, chairs and a couch. Large breakfast buffet is included in the room rate and is served Monday-Friday 7:00-10:00, Saturday-Sunday 8:00-10:00. The rooms are equipped with a minibar, electric kettle, free coffee and tea.